We have chocolate and yellow cake cupcakes filled and iced with buttercream or fudge. These are our standard cupcakes that are usually decorated for the season and are available everyday in our store. Occasionally we have a varied assortment of signature line cupcakes available which can include such delectable flavors as red velvet with cream cheese and chocolate delirium, which is our delicious chocolate cake dough filled with chocolate ganache, topped with chocolate mousse, drizzled with more chocolate and topped with a cherry… yum! 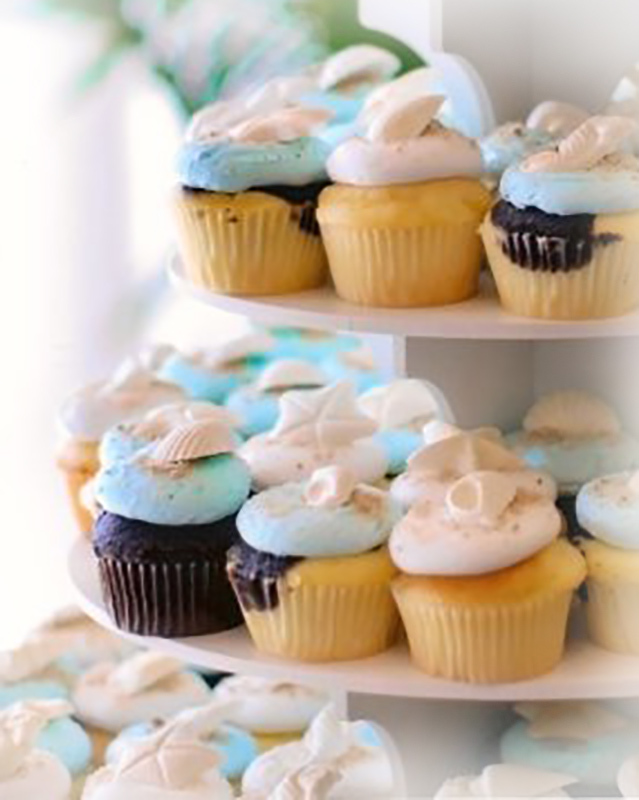 You can also place an order to have us make custom cupcakes of any flavor and decorated to your specifications and we will do our best to accommodate your needs.